Since the proposal to establish a new Court of Appeal has been approved, work will now begin on the detail involved in establishing such an institution. Essential to the establishment of the new court will be the appointment of the judges who will preside over it. 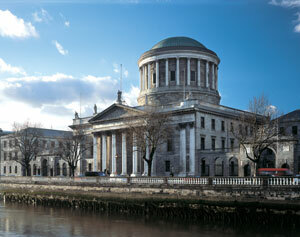 Minister for Justice, Alan Shatter has indicated that he expects ten appointments will be made. At this juncture it seems only right that we consider once again the appropriateness of the judicial appointments process in Ireland. Judicial appointments have always been made by the executive; the Constitution states that judges are to be appointed by the President but on the advice of the Government. For a long time the process was quite informal and the All Party Oireachtas Committee described how “successive Governments were seen to appoint almost invariably, their own supporters to judicial office.” Then in 1994, as a result of the fallout from the attempted appointment of the then Attorney General to the post of President of the High Court, the first real debate about the merits of the appointment system began. The response to this was the establishment of the Judicial Appointments Advisory Board (JAAB) in 1995. The move looked like genuine reform but Professor David Gwynn Morgan has described it as “a good example of pulling the wool over the public’s eyes”. This is because it does little to change the process. First, the board has no role if the post in question is the presidency of any court or if a vacancy is being filled by the promotion of a lower judge by the Government. In relation to all other appointments, the Board compiles a list of seven names and submits this to the Government. It does not interview candidates or rank them. Thus, essentially it is a filtering mechanism which has not made any real change to the appointments system. One of the problems with the system is that it is not transparent – the Government simply makes its choice and does not have to explain that choice to anyone. Many other jurisdictions have limited the executive’s role in this area and have allowed for more transparency. For example in England and Wales, a Judicial Appointments Commission selects a candidate on the basis of established criteria and submits one name to the Lord Chancellor, who invariably accepts the recommendation. In fact, he can only reject the recommendation on the basis that the person is not suitable for the office concerned and the reasons must be published. The Scottish Appointments Board assesses judicial candidates based on 17 established criteria, it then interviews candidates, ranks them and makes a recommendation to the First Minister. The Scottish Board also created a Diversity Working Group in 2007. The aim of the group being to research applications with reference to diversity and to suggest measures to increase any under-representation in applications to judicial office. The Northern Ireland Judicial Appointment Commission has also adopted a diversity and communications strategy, in order to demonstrate its commitment “to merit and diversity by encouraging applications from the widest possible pool.” Such a move would be welcome in this jurisdiction where, despite some recent improvement in gender balance on the Supreme Court, the profile of the majority of judges in Ireland is still white, male, upper middle-class. 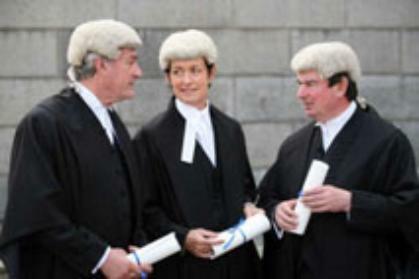 In February of this year, Sinn Féin published its Reform of Judicial Appointments Procedures Bill 2013, which aimed to establish clear criteria for appointment, give the JAAB a more significant role in the selection of candidates and reduce the shortlist it presents to the Government to just three names. In the coming days, Independent TD Shane Ross also intends to present a Bill designed to remove political influence from the judicial appointments process. Minister Shatter has previously indicated a willingness to consider reform of the process – in an address to the Law Society’s annual conference in May, Mr Shatter said the current system of appointing judges “is very much of its time and we could do better”. Given the significant number of imminent judicial appointments, it is essential that we have a conversation on the merits of the present system and that reforms, if they can be agreed upon, are set in motion as soon as possible. This entry was posted in Courts, Judiciary. Bookmark the permalink.